The films premiss is simple - In the near future - Britain has embraced a fascist, totalitarian state run by a supreme chancellor (reference to Star Wars accepted). The population is suppressed and lives in fear. Secret Police, State Run Experiments and Local Militia are abound throughout Britain. 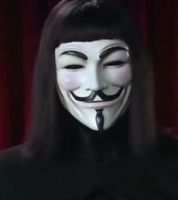 "V" (Hugo Weaving) subverts the governmental oppression, and calls for a citizen revolt against the chancellors ideology and manic enforcement of these ideals. The films backdrop is one of bleak, dark and overt oppression. Weaving gives a stellar vocal performance as the "fauxian masked" title hero. Supporting cast can be a bit hit and miss and Natalie Portman as Evey gives an adequate performance, although the clumsy direction of her character has given her performance a lack of depth and plausibility. However the Jail scene does give her a highlighted performance as we watch her heighten her resolve even in the face of death. 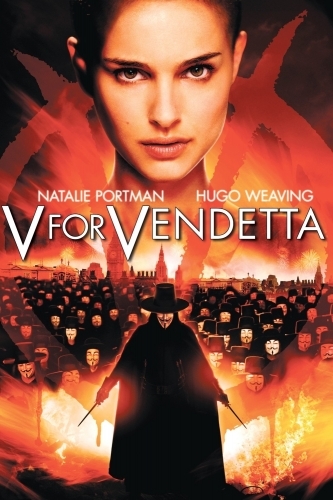 Has V for Vendetta stood the test of the last 10 years. Well HUB Pages in 2013 listed it in their top 10 cult classic films. They identified that the story and content was the rationale to give it such accolade. Screen Rant in 2016 have listed V as No 7 in there 15 Best Science Fiction Film Dystopia's of all time. 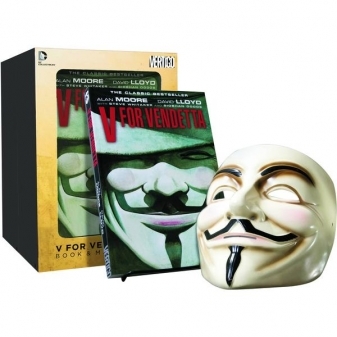 Screen Rant Felt that V for Vendetta became hugely popular, while the Guy Fawkes mask worn by V has been embraced by the cyber-activist group Anonymous. 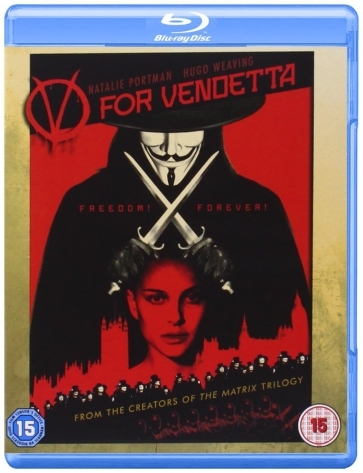 OSGR conclude that 10yrs on the film V for Vendetta does earn its place in the Geekdom cult status. Not only does it echo some of the more worrying trends in the politics and economy currently facing Britain, but also highlights the ease in which as a society election of a crazed zealot could be around the corner (and completed with a simple flick of a pencil). The majesty of the films cult status should be born from its context, costumes and the portrayal of V himself. Is it a cult film - well OSGR would put it in the top 20 list for sure. The final words on this should go to V - "This visage, no mere veneer of vanity, is a vestige of the vox populi, now vacant, vanished. However, this valorous visitation of a by-gone vexation, stands vivified and has vowed to vanquish these venal and virulent vermin vanguarding vice and vouchsafing the violently vicious and voracious violation of volition." Amen to that Brother. Geek out.